Help is needed to connect the printer. 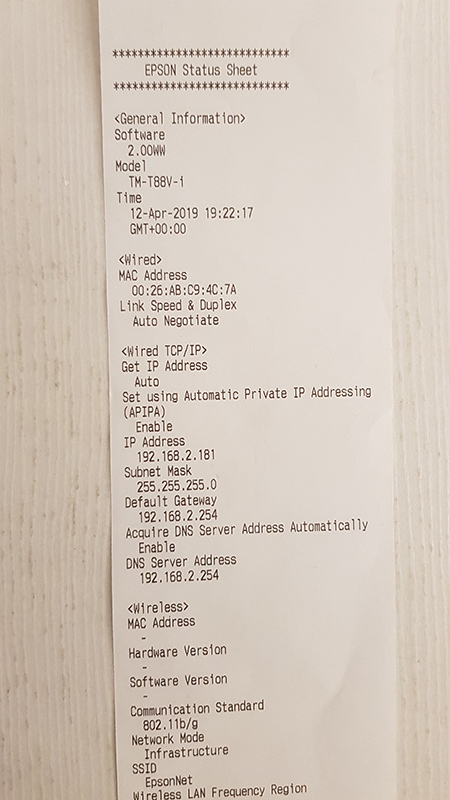 So I managed to connect the printer to my modem, and got it to retrive an IP-address. What am I missing here? HELP!!! How to print graphical logo on Epson TM-T88V? How to connect Epson TM-T20II (Ethernet) to Loyverse POS? How can I connect my bluetooth printer(ISSYZONE POS) with this app?